So one thing that would have never ever come out of my mouth growing up would have been, “mmmm I love brussels sprouts!” And I definitely would have never said, “YES! Mom you made brussels sprouts for dinner! 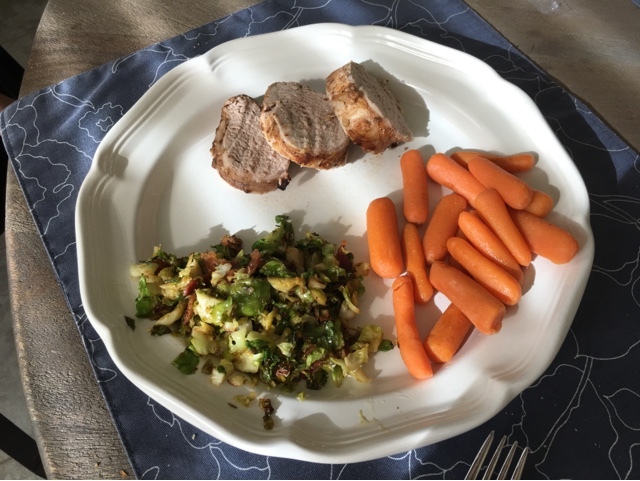 Whoo hoo!” In fact, nights my mom made some I kind of gagged a little at the smell… BUT one of the cool things about doing Whole 30, is that you try new foods, new ways to cook foods, and somehow (I think it is actually magic) you really start enjoying and looking forward to eating vegetables. I know. It’s seriously like this weird strange Whole 30 magical phenomenon that just happens. And one of the foods that I hated for my whole life is now one I look forward to eating. I have found this one brussels sprout skillet recipe that I crave now and will be sharing that later! 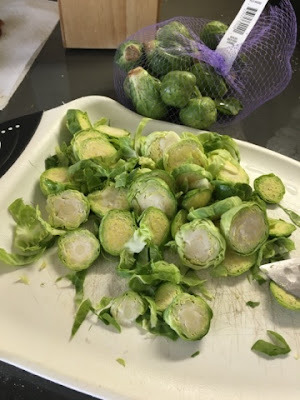 So one evening we were over at my mother in law’s house, and she had been at a restaurant recently that served brussels sprouts this way, so she kind of just copied their recipe. This is super easy, and a really great way to incorporate a really healthy veggie into your meals. 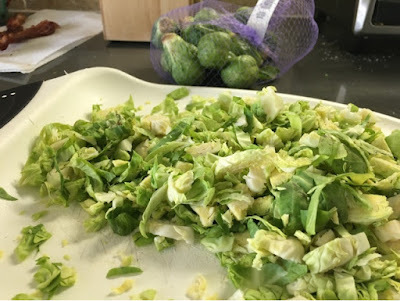 Keep reading if you want some of that brussels sprout magic in your life too. 1. Rinse fresh sprouts and chop the little ends off, then slice the head into little slices. 2. Continue chopping the heads until they look like ribbons. 3. Heat a little olive oil and bacon grease (yes do it) and then put the chopped brussels sprouts into the pan. 4. Crumble a few pieces of bacon into the sprouts. 5. Heat and stir until they are cooked through and maybe a little crispy crunchy. Makes a great side dish to pork, chicken or steak! You can’t go wrong! So next time you are at the store, grab a bag of those fresh little brussels babies and get chopping! You won’t be sorry! Previous Disney Vaca 2016 – Day 6: Heading Home! Next No Sad Front Doors Around Here!